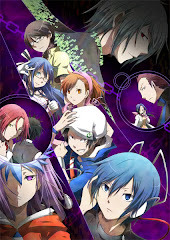 (+)Pros:- linking portals to solve puzzles is damn creative,- creating portals to link paths is addictive,- well made to-solve puzzles,- the bad guy is so damn cool, -still pretty damn fun after 2 or 3 playthroughs. 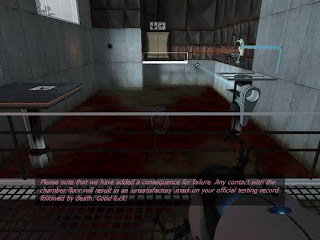 Portal should be fairly old by now, and I only just played it rather recently. 2 words to describe it, fking cool. 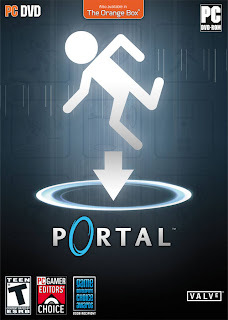 I have been a little bit abundant on PC gaming, but portal, this brilliant game, gave me a spark to give PC gaming another chance, I have been enjoying it. 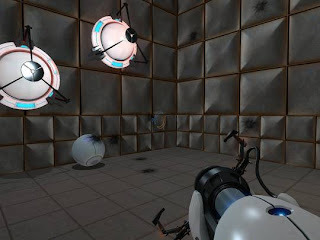 Anyways portal is a game NOT to be overlooked by players of ANY age alike. ANY AGE. 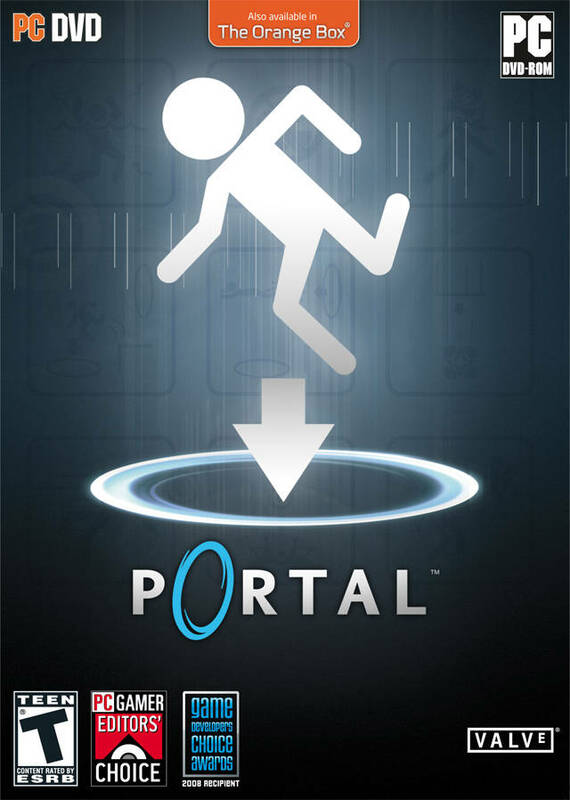 Portal is suited for everyone, no execptions there, either you play portal, or you're not a gamer. Time to get started with a game that you have not seen like any other. Portal has a rather straightfoward story with very little characters to go with. Still the story is easy to follow. You play as a young lady who starts off at an aperature science detention center, and is told by a mechanical voice to go through a series of tests, for experimental purposes. These tests require the use of a portal technology, where you are tested wit your wits, to make use of the portal technology and get pass the 19 tests that the machine has set for you. Test after test you get attached to the mechanical voice and wont mind listening to her voice and advice, this continues until you complete all the tests, 19 of them. I wont spoil what happens after the 19 tests but its damn cool. 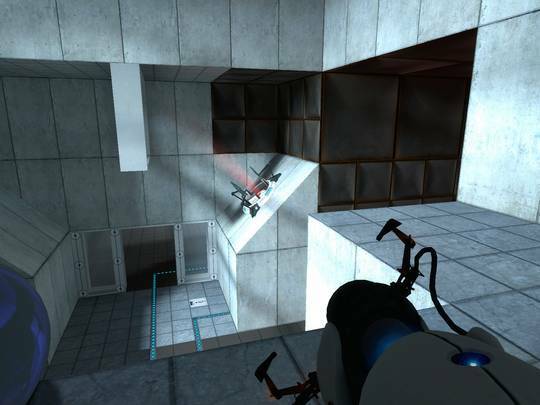 Portal is a first person/ puzzle game. The game concecpt of puzzle solving is simple, there are 2 portals, orange and blue, if there are 2 co-existing portals at the same time, orange and blue, they will be linked and you can walk through them like a path. Enter blue portal= ending up coming out of orange portal. Easy right? The game starts off simple enough, you are given a portal gun that can fire off blue portals. The game then automatically sets off orange portals for you to plan your way through. To past each test you have to find a weighted storage cube and place it on a switch to open the door to the next test chamber. So the game mostly consists of you making use of the portals to get the cube and bring it to the switch/es. Things of course get tougher as the game goes. You are later given the control of the orange portals, so you have to shoot 2 portals by yourself to complete each test. Given liberal use of the orange potal may sound much better but truth be told it makes things more difficult and requires some brain racking to clear levels. Also, hazardous items await you to past them at the later test chambers. Poisonous water, energy orbs and many others keep you from clearing later tests. Poisonous water kills you the moment you fall into it, energy orbs kill you upon impact, though you must exploit them in order to clear certain objectives. Handle with extra care while handling with them. There are also turrets and other dangerious obstacles to make the journey through portal a memoriable one. The only flaw in portal is that its short. Not just short, its farking short, shorting full lenghted game I ever played. Yeah though I downloaded this game for free off steam, it was really too damn short. 1st playthrough with all that brain racking an thinking to solve the puzzles will probably only take you 3 hours or more, no more than 5 hours. Thats how short it is. 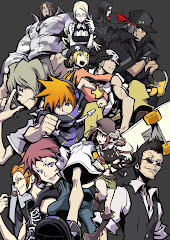 Though you wont mind playing it more times, the concurrent playthroughs should only take you an hour or so. Yeap, portal, as short as it sounds. Portal,overall, is one hell of a blast. 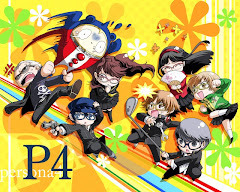 It has got a short plot but has a good twist, the gameplay is superb, the concept is creative, and its a hell lot of fun. 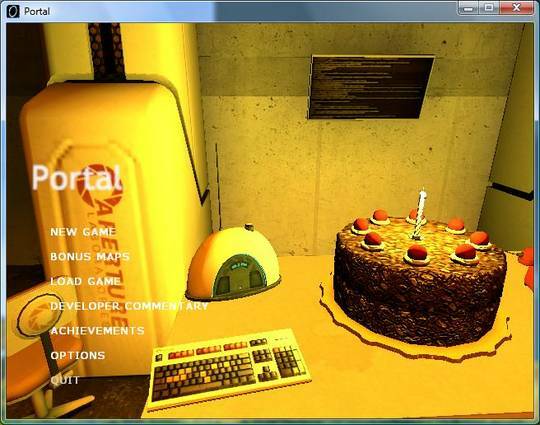 I highly reccommend portal to every PC gamer in the world, you wont regret it. It well packed fun for everyone.